About 105 pioneer grade 12 students of the St Charles Lwanga Secondary School in NCD have sat for their National Examination today with the rest of the country. School Principal Brother Joymon Matthew spoke highly of his students and he is certain that they will perform exceptionally well as they have proven that when the same lot of students sat for their grade 10 Exam in 2015. “Our school topped the country in 2015 when these same lot of students sat for the grade 10 National Exam and I have no doubt that they will do the same this year” said Brother Joymon. Meanwhile Brother Joymon commanded his teachers for their hard work in preparing the students for this day. 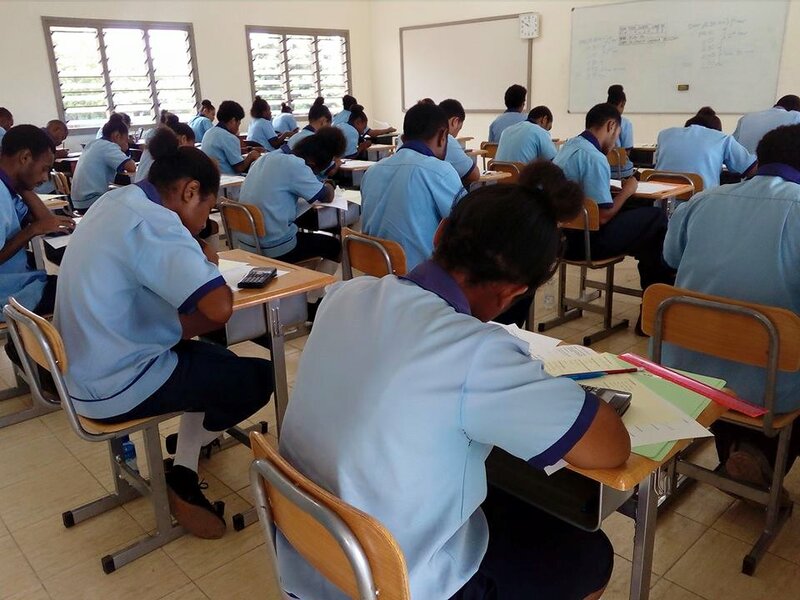 More than 28,000 grade 12 students throughout the country are sitting for the National Examination which will end on the 25th of October.